Well I have the kits built and tested. I followed the instructions to the t.
The vertical works excellent. I had no issues with swr, although for 30m leaving both switches on 40m provided the best results. Reverse beacon results were respectable on all bands. I will probably increase the number of radials to 8 or even 16 for a little better performance. The ununtenna, despite the increased amount of radiator, was a much more bulky system and didn’t seem to work as well. Swr was off the charts on some bands (except for 17m for some reason). I honestly not that happy with it, even though the kx3 could tune it. I tested it against the vertical using the rbn on 40 meters, and they were comparable. Both kits were fun to build. I also have the EFHW tuner and I still have to comment on the antenna attachment system, which is a bolt nuts and a wingnut. I have found just following the instructions is unsatisfactory. The system loosens itself up and falls apart in the field. I now use loctite threadlocker blue on all qrpguys wire attachment points. Just use enough to lock the nuts, but not cover the threads where the wire contacts or the wingnut travels. This eliminates the issue and increases enjoyment. As much as I like the Pacific antenna trap dipole kit, the qrpguys vertical covers 30m too and is lighter and more compact. I will probably give it 4 more radials as the size/weight 26 awg wire isn’t an issue and give it a chance on my next activation. The QRP Guys no tune EFHW has an add to cart button where the coming soon text used to be, so I ordered one. The assembly manual and description mention no counterpoise being used, as the feedlines acts like one. It will be interesting to see how hot the chassis of the kx3 gets. The torroid is another new one for me. The directions look very specific to aid the winding process. I know about the thread for the vertical, please note this discussion is about multiple antennas, including the pacific antenna trap dipole, the ununtenna, and the no tune end fed. I posted my thoughts on the vertical in your thread already Ed. 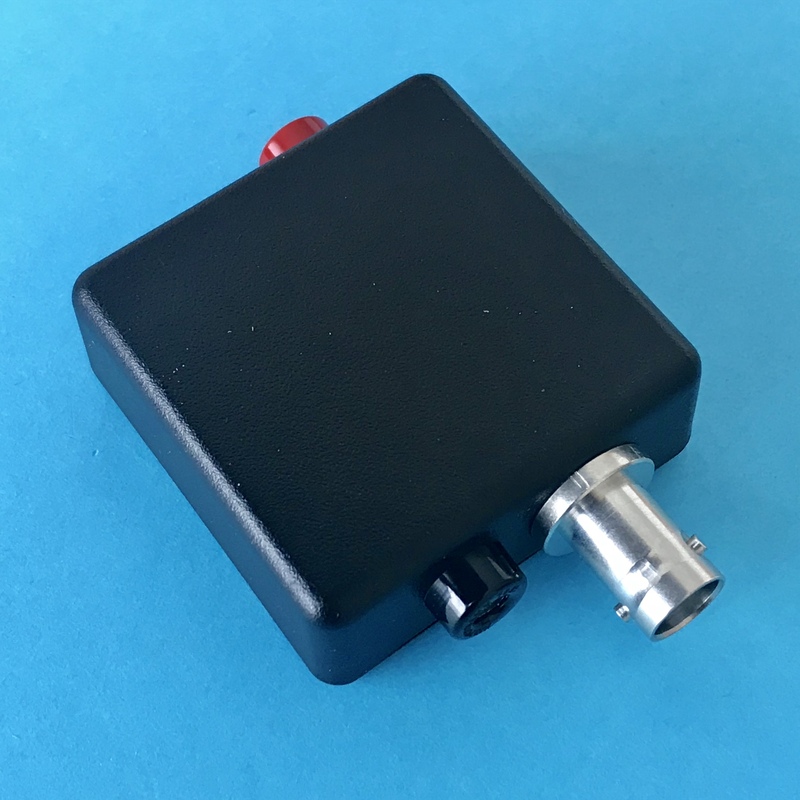 I will add a picture of the built qrp guys no tune EFHW antenna kit and the 30/17m dipole from Pacific Antenan after I receive and build them, along with first impressions. IMHO, if you’re going to do a loaded vertical wire, it would perform better with air-wound loading coil up as high as you can still reach (~6M), off the ground. A vertical with toroids at the base isn’t going to be better than just feeding the wire into your KX1/KX2/KX3 antenna terminals/ATU. Assuming this isn’t a resonant antenna, I don’t see the advantage of its design? I thought it was for operating without a tuner Barry. The antenna is designed as a 1/4 wave on 20 meters. It adds the ability to use that antenna via switching at the antenna base. A set if airwound coils is also larger and heavier, and weighs down the tip of a 20’ crappie pole like the one I use for sota activations. There is some sacrifice to 30/40m performance for convenience and portability made with the design but I’d imagine these are minimal in the grand scheme of things. Hi Barry, if you are referring to the QRP Guys antenna - it is resonant on three bands - one without ferrite cores (20m) and two with either one (30m) or two(40m). So no ATU needed and hence of interest to those with rigs that don’t have an ATU built in. 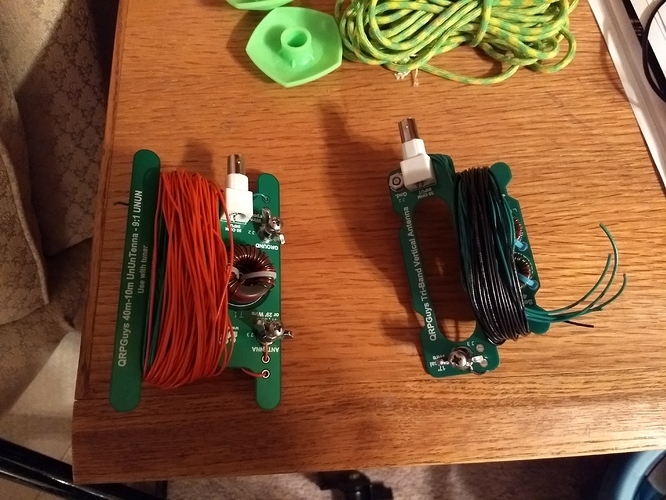 OK on your point Evan - I just wanted to ensure that other people reading this thread who may be interested in the QRP Guys antenna, know there is more information/discussion in the parrallel thread. Finished mine by the way - just have some tuning of the toriods to do, to get it right on my 20/40/60m version. it is resonant on three bands - one without ferrite cores (20m) and two with either one (30m) or two(40m). If they were traps that shortened the radiator it could be considered resonant on 3 bands. But they’re loading coils on those bands so it’s only resonant on one band. A vertical with toroids at the base isn’t going to be better than just feeding the wire into your KX1/KX2/KX3 antenna terminals/ATU. I keep coming back to questions about this. I have a kx2 with a tuner. Is there an advantage in using a loaded vertical (like the qrp guys one) vs. just running the end of the a 17’ vertical wire directly into my radio? Wouldn’t my radio tuner essentially do the same thing as the torroids? OK, technically correct - what I should have said was it has a low SWR (looks to be around 1.2:1) on three bands - hence no ATU required. The question is whether the built-in ATU can handle the impedance of the 20m quarter wave on 30 and 40m - most internal ATU’s will only correct an SWR of 3:1 - you could be looking at 10:1 or worse - put simply, the use of the ferrite cores directly on the base of the vertical element can handle this as they inducively extend the length of the antenna so that the rig sees 50 ohms (or close thereto). At the end of the day, it’s a compromise, but perhaps one that is worth it when consider weight and size of equipment to be carried. How well it performs, as yet I cannot say. I have a kx2 with a tuner. 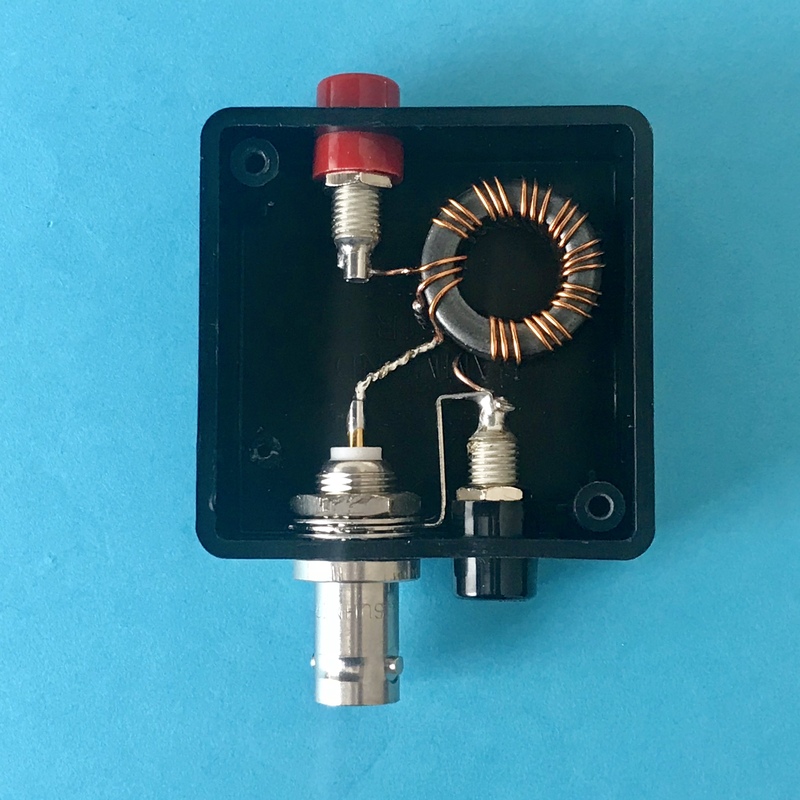 Is there an advantage in using a loaded vertical (like the qrp guys one) vs. just running the end of the a 17’ vertical wire directly into my radio? The advantage of this comes if you want to locate the antenna some distance from the tuner say to get the operator out of the wind. Then feeding the antenna with coax when it is not 50ohms will produce an SWR loss on the coax and that can be big. This is 50ohm so the loss is reduced. Or you do not have a tuner or the tuner cannot match the load. Wouldn’t my radio tuner essentially do the same thing as the torroids? 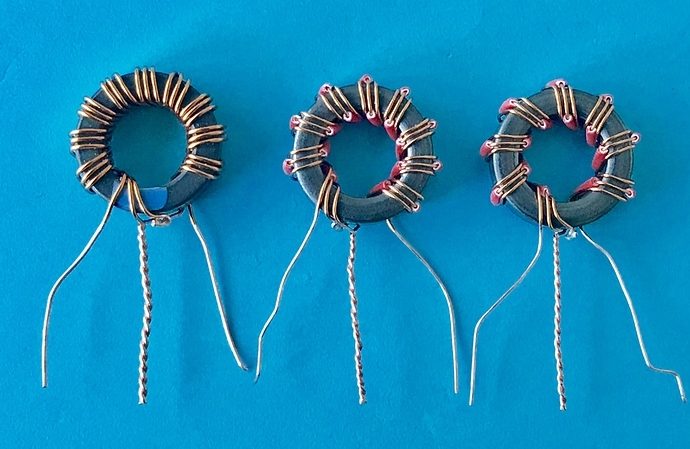 … - one without ferrite cores (20m) and two with either one (30m) or two(40m). I must build one (several?) of these! You are correct the T68-2’s used are in fact Iron Powder Toroids. Aren’t the iron powder toriods the problem with the EARCHI antenna? It tested as 6dB down from other wire antennas. Aren’t the iron powder toriods the problem with the EARCHI antenna? The 1: 9 UnUn with 9 trifiliar turns of #24 (0.5 mm) wire on a FT-82-43 (photos) is good for 3.5-28 MHz and 8 trifiliar turns give only a small worsening at 3.5 MHz. BTW, The geometry of the transmission line on the toroid (wire diameter and separation) has an influence on its wave resistance. 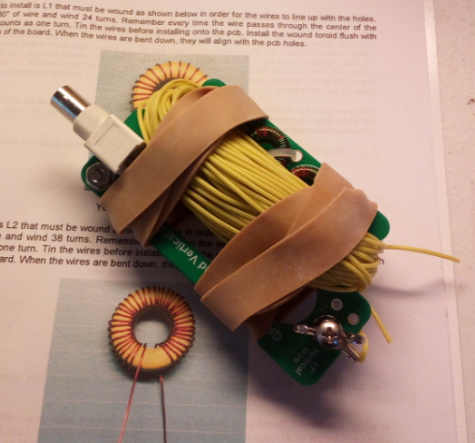 Those are beautiful - if there can be art in amateur radio, a beautifully wound toroid, such as this, comes pretty close. Unfortunately I can not buy these qrpguys kits from Italy to make it. I would like to compare it with mine… that’s it!